On Croatia’s Dalmatian coast, between Split and Dubrovnik, lays a city called Makarska with a 2 kilometer stretch of pure sandy beaches. Makarska’s location between the rocky foothills of the Biokovo mountains and Adriatic sets the perfect conditions for fun and entertainment. With the Biokovo mountain’s protection, the Makarska Riviera receives mild winters, cool breezes, and long warm summer nights. Along the shore there tons of restaurants and cafes to relax and admire the crystal blue waters. There also many beaches secluded by pine trees to give way for those who crave a more intimate and private area. 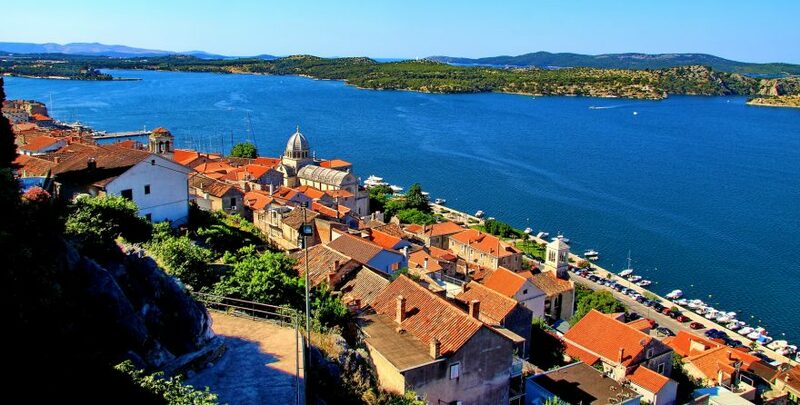 Once you’ve finished watching the locals jet ski make sure to visit the old town, the markets and stands, as well as the Franciscan monastery. If you have time, the monastery hosts an exquisite contemporary mosaic and a delicate shell museum. As a center for culture and education, there is a little bit of everything for everyone at Makarska.